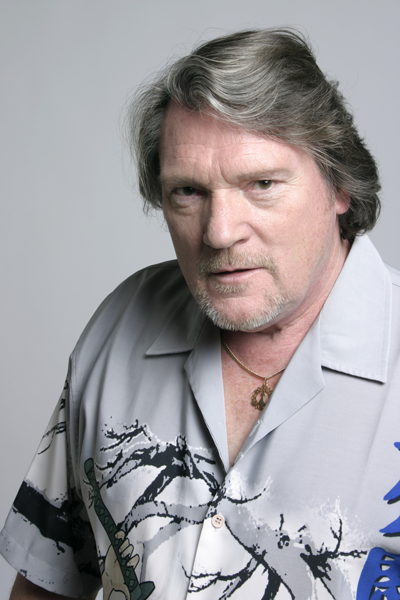 For over forty years, Brian Auger has been a musician’s musician. Jazz pianist, bandleader, session man, Hammond B3 innovator, and key player in the rise of jazz/rock fusion, Brian has done it all and then some. An incredible gentleman with one of the most varied careers in music, he has incorporated jazz, early British pop, R&B, soul and rock into an incredible catalog that has won him legions of fans all over the world. The Auger family’s home was bombed in 1944. “We were actually very fortunate, because the house was absolutely ruined, plastered, but none of us were hurt,” he recalls. Evacuated to the Leeds/Valley area for nearly two years, he lived with another family, and, as fate would have it, “they had a piano, and I would play it a little bit on there. When I got back home the thing that really grounded me was when I walked in the room, there was my piano.” Once home with his family, Auger became the entertainment for the neighborhood. “I used to have little concerts. We had a bay window, and my friends would all sit on the window sill, so I would play with all these little piano rolls, you know, and, and have these little concerts.” Aside from entertaining the neighborhood kids, Brian remembers “I began to see the movement from one key to another. I could hear a tune on the radio and immediately sit down and play it. I knew all the pop tunes. As a child of eight or nine, “I was invited to all sorts of parties, and, since we were broke, people would pass a hat around and give me the money.” But aside from playing the British and American pop tunes of the day, Brian’s ears lit up when he started listening to his older brother’s record collection with names like Count Basie and Duke Ellington. Auger’s brother also gave him and old radio, and he was able to hear American jazz played over Armed Forces radio. With his fondness for jazz piano Brian came to an early musical decision. “When I heard those various guys I said ‘this is what I want to play’ and the early bands I got in when I was 16 or 17 years old, we were playing Jazz Messengers material,” he recalls. “Around this time my dad became very ill, so I thought ‘I had better get a job and help out at least until my younger sister and brother started to work’. I got a gig in a print firm…after two weeks, a supervisor said to him ‘I hear you play the piano’ and I said ‘yes’ and he said ‘I’ve got this gig in London on the West End…its just me and you’. He was a drummer. I go in and play everything, not knowing that I can only play two keys—G and C—I can play all these tunes, but I can only play them in two keys”. The self-taught Auger only played in G or C until a trombone player visiting the club told him that each piece was written for a certain key, so Auger went home and learned them in the correct keys. “This was a huge learning experience for me, and I started to learn all these tunes in the right key and all my jazz stuff in the right key, and this moved me on to no end.” At eighteen, Brian’s club gig started to draw a number of big name artists who were touring London including Billie Holliday. Playing in clubs, Auger won the Melody Maker jazz poll in 1964 and was now a known commodity in swingin’ London’s burgeoning music scene. Interestingly, this success in playing American music in Britain coincided with the British invasion in the US, and some jazz clubs started playing rock and roll, which also intrigued Brian. “I was kind of taken by the Beatles, it was kind of a phenomenon, you know,” he remembers. . Auger was still more intrigued with technique, however, and, in 1965, when he heard Jimmy Smith albums, he decided to get involved with a Hammond B3, an organ few British musicians could play, largely because the bulky organs were virtually non-existent in England. Around this time, the Yardbirds called Auger for session work. Upon arrival, he said “what do you want me to do?” and they said ‘We need an intro, and also a comp throughout the tune’ and I said fine, but where’s the organ?” They looked around the studio, but “they said “we don’t have an organ”—just a harpsichord. said ‘come on, you guys, you’ve got to be joking’ and they said ‘that’s all we’ve got’ and so I did a rolling intro with this harpsichord thing, and I left, thinking these guys are nuts, I mean whose going to buy a pop single with harpsichord on it.. It went to number one, so what do I know?” The song was “For Your Love,” which kicked off the Yardbirds recording career, and also made Brian an in demand session man around London. With this new group of musicians, it was more like a revue than an actu_al band, but what does one call it? ” If someone really played with a great deal of fire in those days, someone would say ‘that guy’s a steamer, so Steampacket became our name,” explained Auger. Sadly, Rod’s manager, Brian’s manager and John’s manager, feuded over whose label the record should come out on, so they never really recorded anything and Steampacket collapsed in 1966 after one year. However, a live concert video exists of Steampacket playing the Reading Jazz and Blues Festival in 1965, and it is truly a rocking’ experience today. In November 1967, their first album, Open, was released in France, and the French just went crazy. “All of a sudden we were booked at the Montreux Jazz Festival as the headliner in 1968—no rock-jazz band had ever done that, these were pure jazz festivals. Following that, we got the Berlin Jazz Festival the same year—one of the most purist of all.” Despite the crowd’s initial reaction being somewhat less than favorable, Auger’s incredible band won the crowd over, as well as many fellow musicians. Dizzy Gillespie, who was so impressed with Brian’s band he said, “‘hey man, you should come jamming with us.’ I figured he must have been kidding. I was totally in awe,” Brian laughs. The next album, Definitely What, was Brian’s solo album and was the same year that Brian and Julie’s hit “This Wheel’s On Fire” went to number one in England. “That was primarily on a reel of tapes that was sent called the basement tapes, the Bob Dylan basement tapes,” Brian remembers. “Wheel’s was a strange song. There was an upright bass and Bob Dylan singing the piece,” he continues. “Julie really liked it and I listened to it. I liked the kind of idea there except that I thought it was an album track, not a single. So we decided to go for it and so I started to mess around with this thing trying to put rock rhythms to it and a different kind of rhythmic bass. It just didn’t work, and in the end I just couldn’t get away from the walking bass. ” The frustration in trying to find the proper bass track led to some experimentation. ” Let’s treat it as a jazzier thing, then, almost as a march, let me just think of it as a kind of a march, put it down like that,’” Brian recollects. ” So I put the backtrack down with a piano over the organ on it and some mellatron strings. When Julie added her extraordinary vocal, all of a sudden it was like ‘wow, this is really psychedelic man’.” Psychedelic it was, and the hypnotic effect Brian was searching for helped propel the tune to hit status all over Europe as well as the U.K.
After the success of “Wheel’s,” the Trinity obtained a large following, particularly in Britain, with Julie being the lead vocalist. Her soulful voice and mod look, made her the “it” girl of the moment. And with Carnaby Street in full gear, Julie’s voice and vibe made her one of the poster girls of the mod years. Streetnoise, the third album, was done in 1969 in preparation of Auger’s first US tour which was “a musician’s dream, especially if you’re a jazz [or R&B] musician, I never, ever, you know, imagined that I would be coming over to play in America,” Brian fondly remembers. Creating their own works, along with a take on the Jose Feliciano version of “Light My Fire,” it all fell together: To this day it is considered one of the Trinity’s finest albums, and contains a number of stand out tracks including a take on Richie Havens’ “Indian Rope Man,” Miles Davis’ “All Blues,” Laura Nyro’s “Save the Country” and “I’ve Got Life” from the musical Hair. The euphoria of the American tour soon dissipated, however, when the manager’s mis-management dealt Auger another blow upon returning from the U.S. “We went back, I said to Giorgio [Gomelsky] ‘where’s my accounts’ and he handed me a bill for 5,000 [UK] pounds—‘ you know I could have bought a couple of little houses for that so that was the end of it for me’.” He did one more album with the Trinity called Befour, recorded without Julie, which came out in 1970. Julie decided she’d had it as well as she needed complete rest after the trauma of the Gomelsky fiasco, and her promising career never recovered. Brian wanted to continue with cutting-edge music and , as he recalls, “I just needed to put people around me who wanted to go that way, and so the Oblivion Express started up in 1970.” Versatile Jim Mullen asked to be the guitar player and Barry Dean was selected as bass player, with Robbie Macintosh (who later found fame with the Average White Band) as the drummer. Brian initially did the vocals, but ‘my voice never held up night by night” so we asked Alex Ligertwood to join us as lead singer. “Alex is such an incredibly powerful, amazing singer,” Brian continues.. “He was a friend of Jim’s and Jim told me about him, and so we decided that we would ask Alex if he would come down and sing with us and see what happened, you know, and that was it.” He joined up in ’71, after Oblivion had already done one album, A Better Land, so Ligertwood’s first album as vocalist for the Oblivion Express was Second Wind. Closer To It was followed by Straight Ahead, which also landed on both the R&B and jazz charts. The Express opened for Herbie Hancock’s Headhunters,, ZZ Top, Led Zeppelin and others, bridging rock, jazz and R&B genres, and sometimes did straight R&B gigs. “I got a boost in ’75 when Ligertwood rejoined for the Reinforcements album. Oblivion Express kept rolling through most of the 70s, until the group finished touring in 1977. In 1976 and’ 77, Brian was voted the Number One Jazz organist in the world in Contemporary Keyboard magazine, largely behind the strength of his live playing with Oblivion Express. Visiting London in 1977, Auger invited Julie Driscoll to do another album again, and thus the album called Encore, (1977) and one more with Julie followed. After a year off, he did Planet Earth Calling after being approached by Head First Records. From 1979 to 1983, Brian settled in California and took it easy for a while, taking music courses at Marin College and San Francisco State. It also gave him an opportunity to spend more time with his family, playing occasionally in local clubs. “People weren’t knocking the doors down at the time because punk and disco had suddenly come in, you know, and “anything that smacked of jazz, you can forget it,” Brian remembers of the dreaded disco era. In the mid-80s, however, Brian toured Europe again, especially Italy and Switzerland, and released Keys to the Heart in 1987. In 1993, Auger decided to leave Burdon and concentrate on his own music. In the mid to late 1990’s, Auger formed his own family version of the Oblivion Express, with his children Karma on drums and Ali performing, as the lead vocalist, along with a bassist and guitarist Auger has selected. Before releasing Auger Rhythms. His first career retrospective, Brian toured Europe, where he drew large crowds at several jazz festivals, including a two night gig at the famed Montreux Jazz Festival. And for fans in the States, Brian and the revamped Oblivion Express have started touring all over America at clubs and festivals as well.